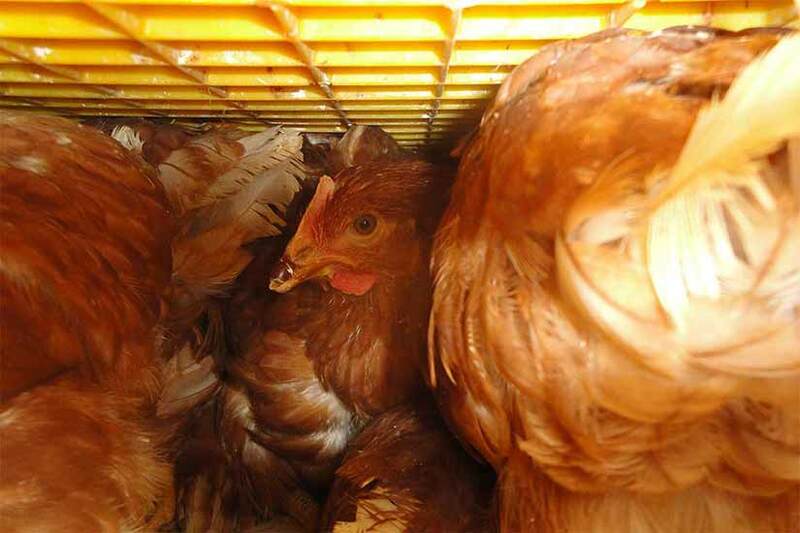 In the EU alone, around 3.8 million animals are transported every day. That is 1.4 billion animals a year. In the transport business, as in all branches of industry, money is at stake. 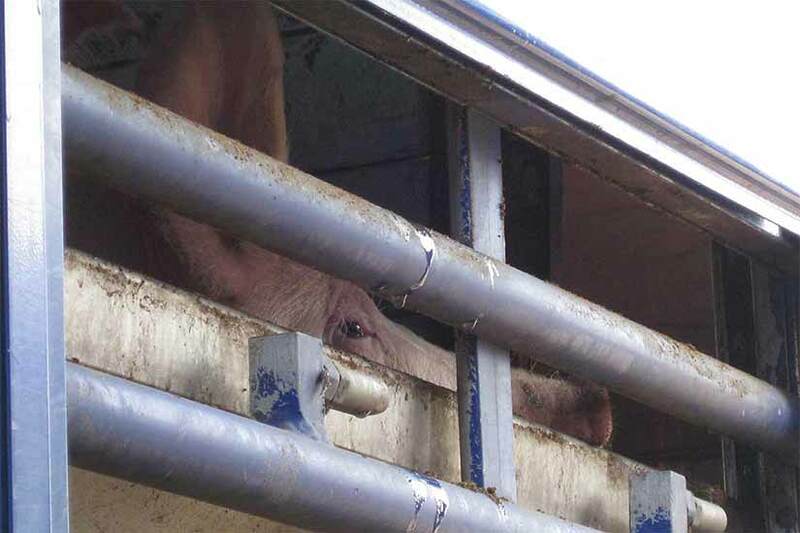 Animals are transported where the highest profits are expected. 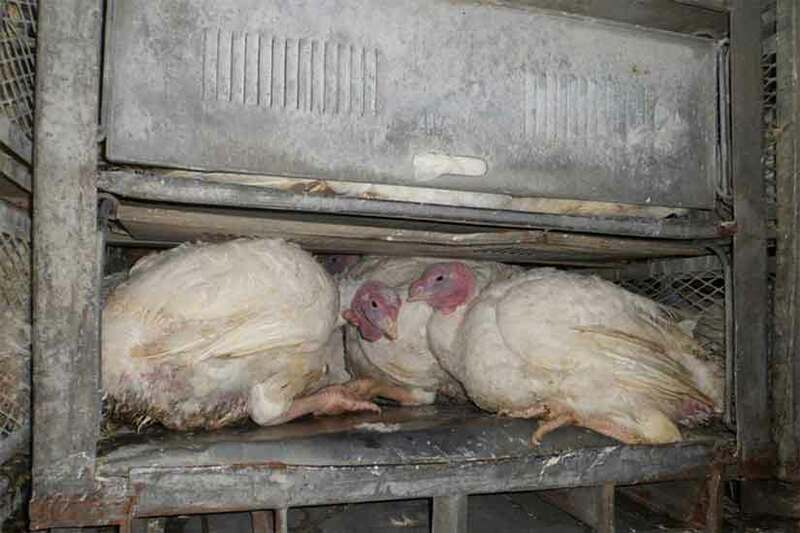 All too often these transports take place under cruel conditions. 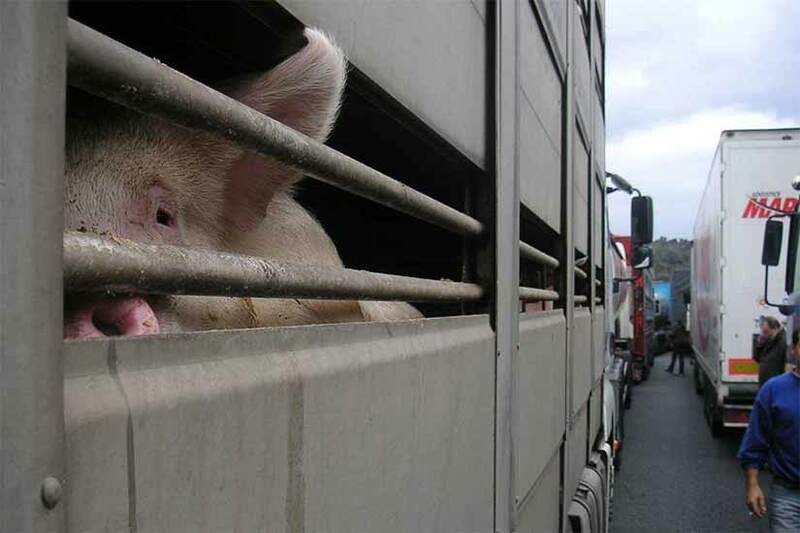 The longer the transport lasts, the more the animals suffer. 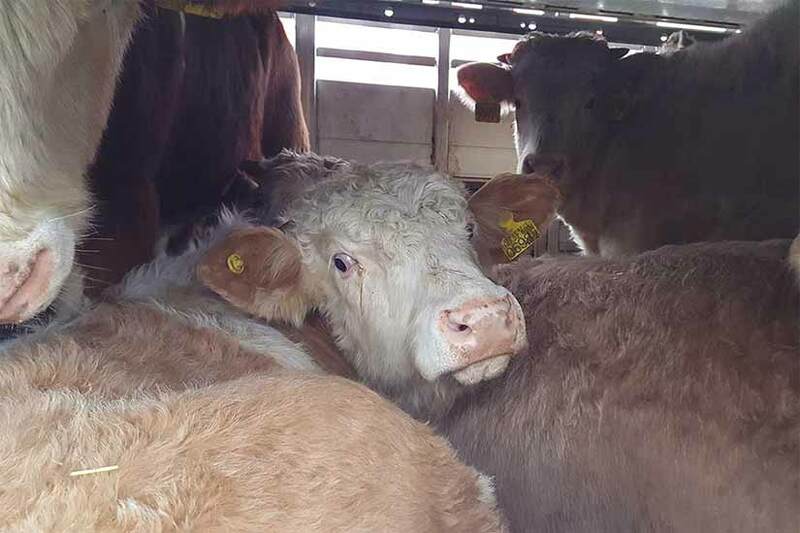 Why are Animals Transported at all? In 'livestock farming', as in all branches of industry, money is at stake. 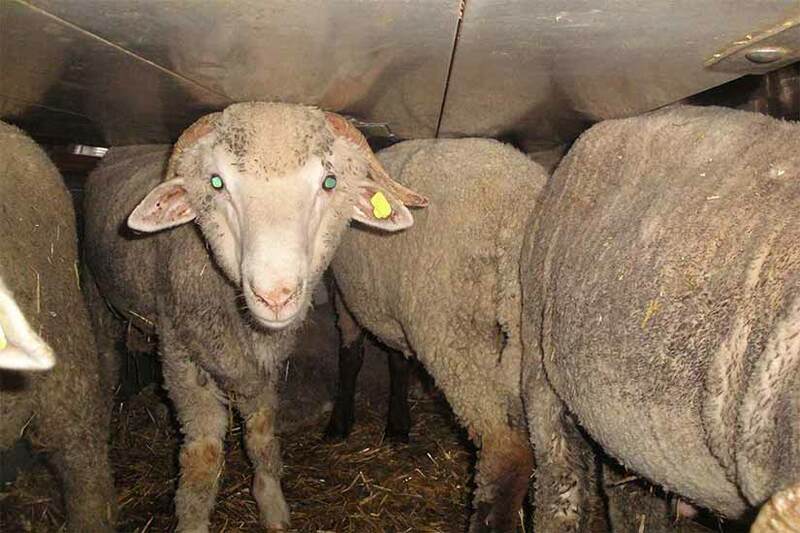 Animals are transported to wherever the highest profits are expected. In the agricultural industry, work stages are separated: breeding, keeping and fattening are concentrated where feed and labor costs are low. 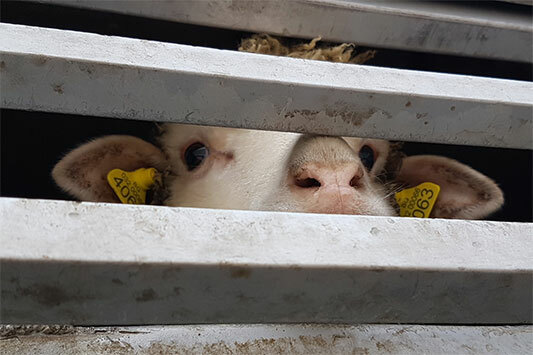 Many EU states do not cover their national demand for 'slaughter' animals from their own 'production' and therefore import animals from other EU states. These in turn look for buyers for their 'overproduction'. 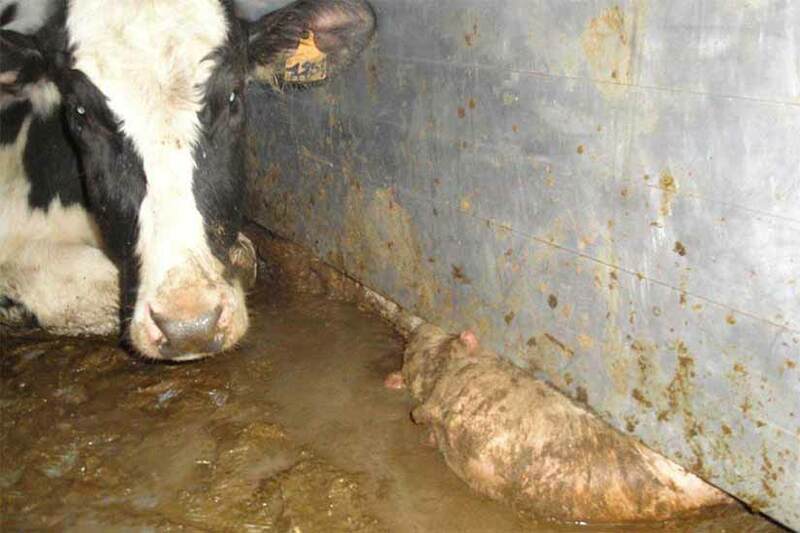 An example: male calves are regarded as superfluous 'by-products' of the dairy industry and are transported at the age of just two weeks to those EU countries where fattening is cheapest. What Law is Supposed to Protect Them? 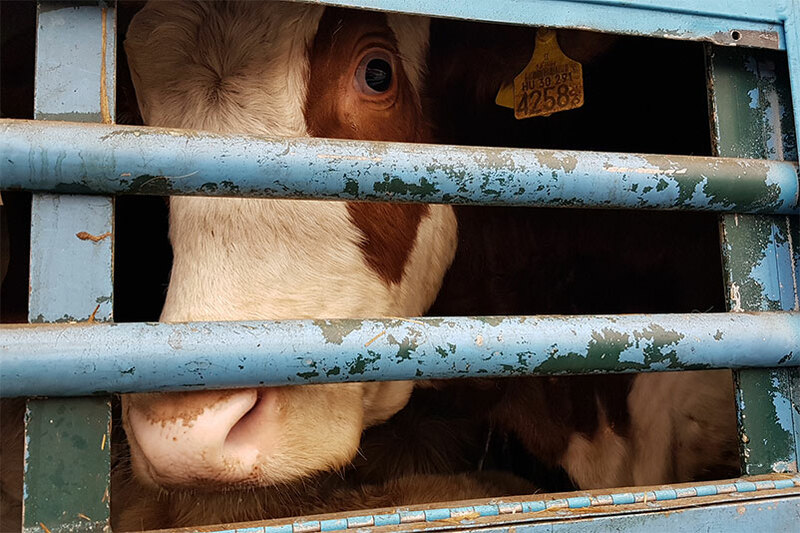 Since 1977, there have been laws in the EU to protect animals during transport. They were last updated by the EU-wide Regulation EG 1/2005. But are the animals on the transports sufficiently protected by this regulation? Definitely not! Why Does the Law not Protect the Animals? Primarily, because there is no time limit for animal transport. In principle, animals can be transported endlessly. On the other hand, the legal loading densities are calculated to narrowly. The animals can hardly lie down to rest – injuries are predetermined. 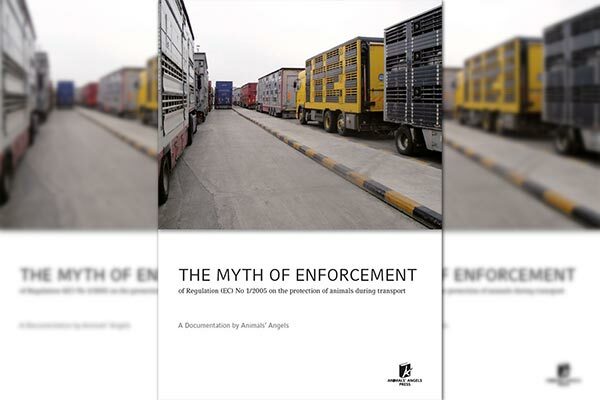 In addition, the EU regulation contains a large number of imprecise provisions which in practice are always interpreted to the disadvantage of the animals. Other regulations are simply not practicable or are all too often not complied with, even after more than 40 years. Then, the conditions for the animals become hell: Injured and sick animals are not treated. 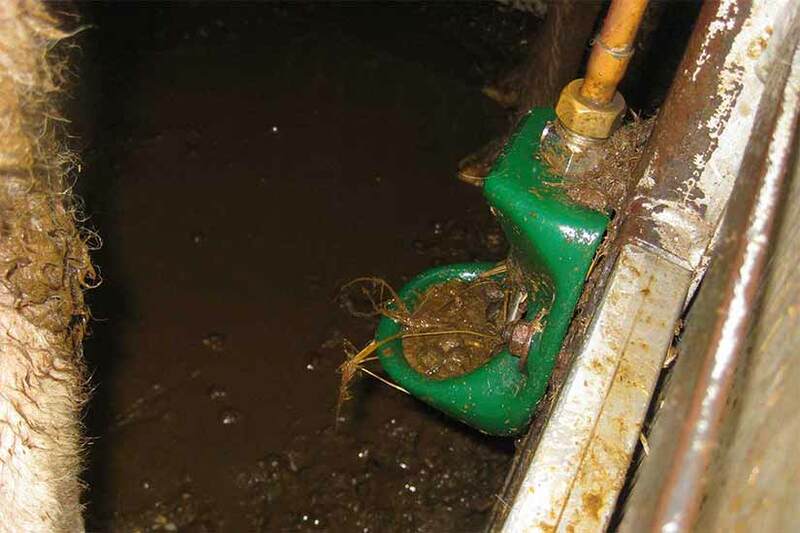 Even at high temperatures, defective water systems are not repaired. In order to be able to load a few more animals, it is accepted that the animals trample on each other. And in order to avoid the rest periods for the animals, the papers are manipulated. Exhaustion: Juan is on the ground and can't get up. The other animals step on him – the risk of injury increases. Injuries: Jaques has broken off a horn and is bleeding heavily. 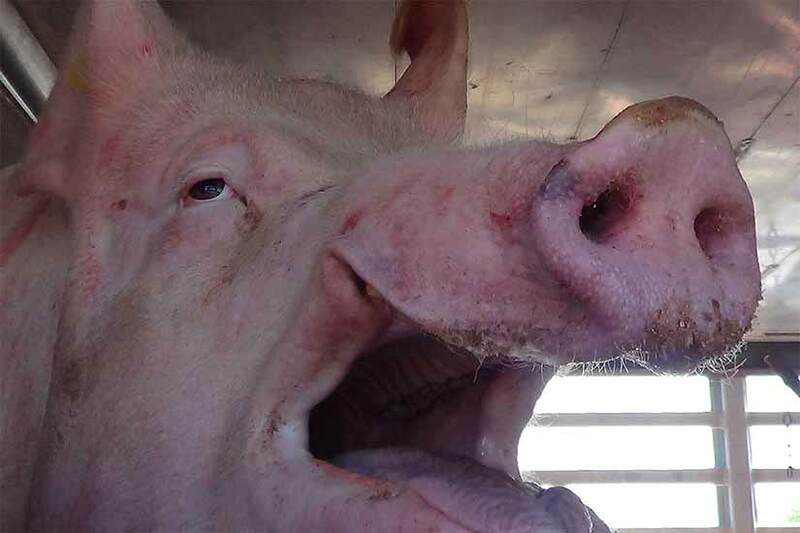 He cannot be treated properly during transport. Lack of space: For poultry there are no legal requirements for the height of the transport boxes. The animals have to endure the journey in a ducked position. Lack of space: Augustin and the other cattle on board this transport cannot all lie and rest at the same time. Access to the drinking troughs is also restricted. Low ceilings: Samuel and the other sheep hit the ceiling with their heads and backs. Constructional deficiencies: If the partition walls do not close properly to the outer wall or floor, the animals can get trapped in the spaces and get injured. 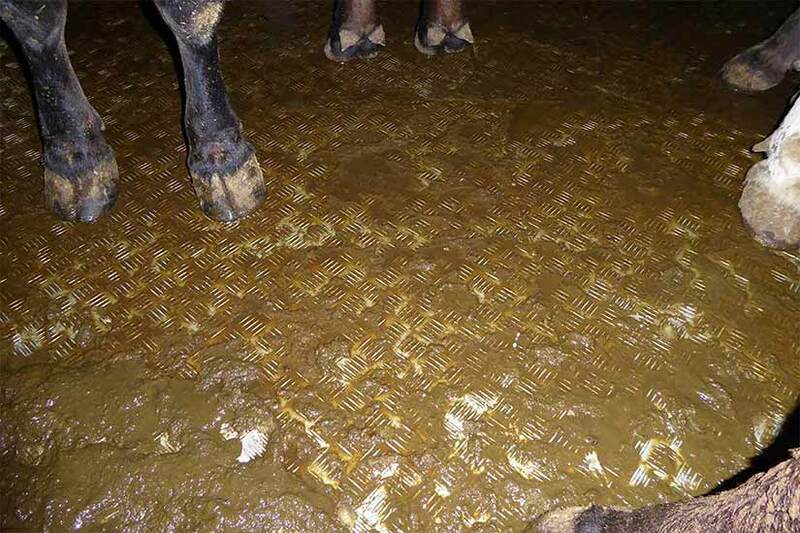 Missing bedding: The faeces and urine of the animals are not properly absorbed. 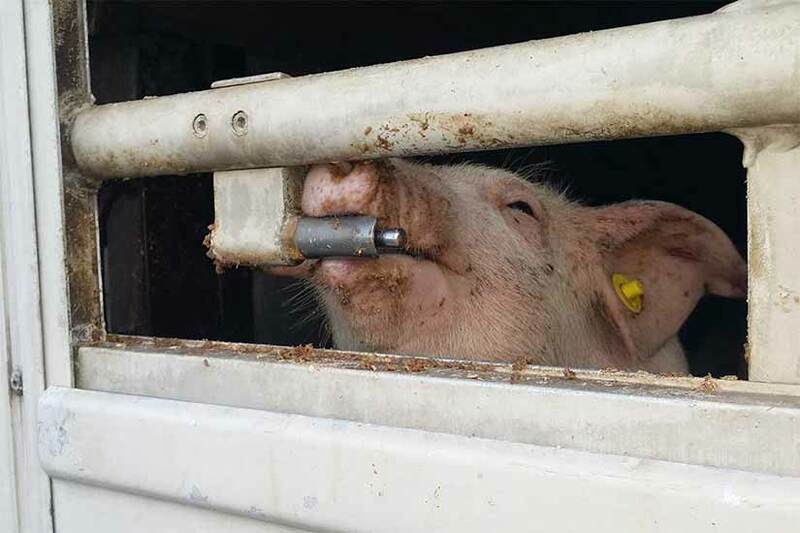 Ammonia gases accumulate in the truck and irritate their respiratory tracts. Supply: It is technically not possible to supply unweaned calves with milk replacer on board of trucks. They remain hungry throughout the journey. High temperatures: In summer, the permitted temperature limit (up to 30 °C) is regularly exceeded – especially in southern Europe. 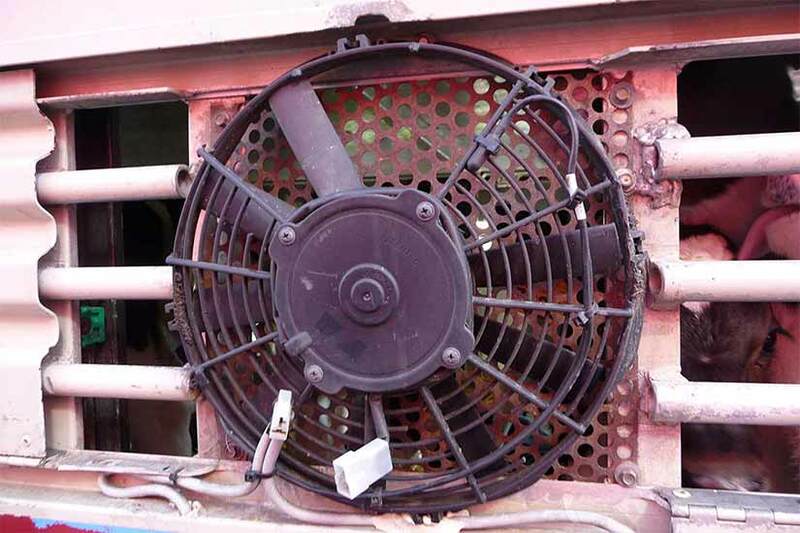 High temperatures: The installed fans cannot ensure the permitted temperature limit. They merely exchange the air in the vehicle. 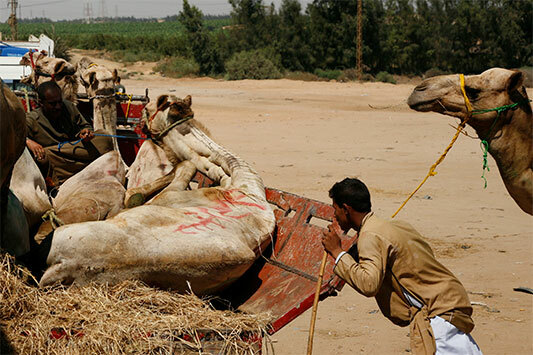 High temperatures: Heat causes suffering to the animals. But not only above the permitted limit of 30 °C. Thirst: Especially the young animal children are often not accustomed to the watering systems and cannot use them. This can also apply to older animals. Thirst: Dirty water troughs become unusable for the animals. Thirst: Poorly placed or obstructed drinking troughs are not accessible for the animals. Unforeseeable events: If an animal transport is stuck in a traffic jam, the journey time can be significantly extended. Quickly then, rest and feeding times can no longer be complied with. 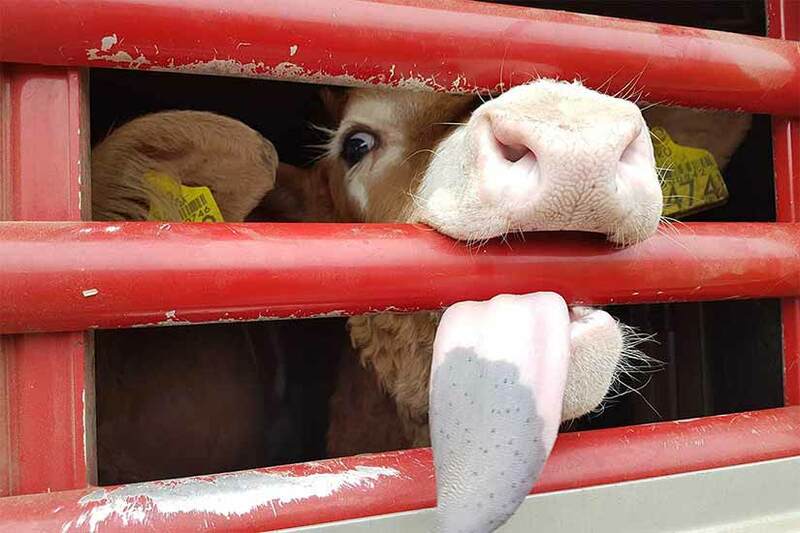 What do the Animals Suffer From During Transport? Injuries and pain: The animals trap their legs, hooves, claws or horns. Lying animals are kicked and injured by the standing ones. Rank fights lead to stress and injuries. Thirst and dehydration: Contrary to legal regulations, the animals are often not, or only insufficiently, supplied with water during long distance transports, e.g. because the watering systems do not work, are out of reach, dirty, or cannot be operated by the animals. 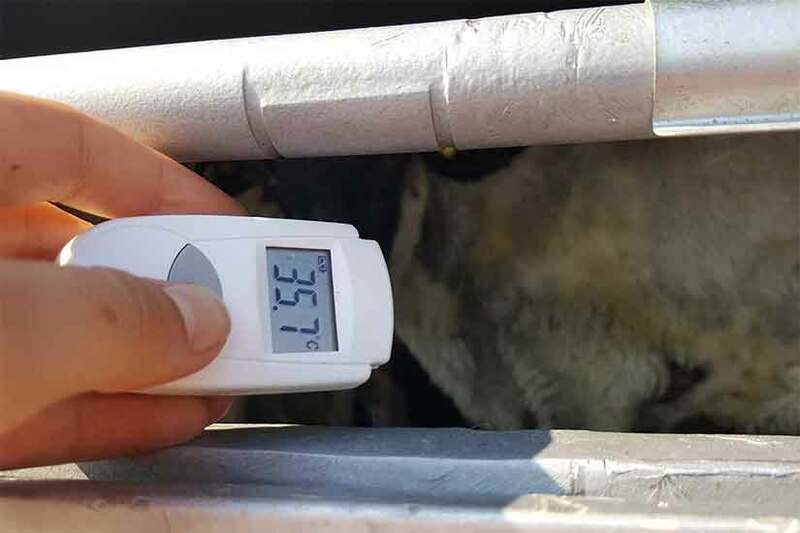 Heat and cold stress: Large temperature fluctuations occur frequently when the animals are, for example, transported from northern to southern Europe. Temperatures that are too low or too high cause stress and suffering. 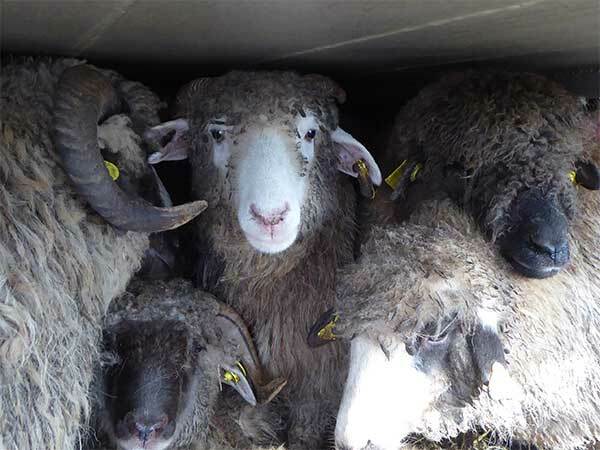 In the worst case, animals die during transport. Lack of space: The statutory space requirements are not sufficient, for example, to ensure that the animals can lie down without others stepping on them. 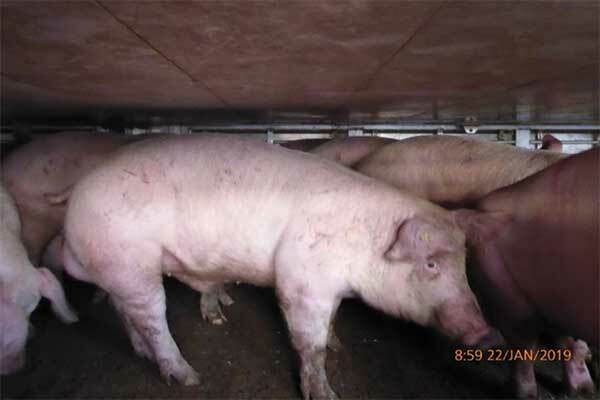 In such confinement, they are also unable to regulate their body temperature. Insufficient ceiling height: Except for horses, the regulation does not prescribe a minimum ceiling height, but only speaks of ‘sufficient height’. This wording is often interpreted to the disadvantage of the animals and so they sometimes have to remain in an unnatural position for days because they can only stand ducked. Lack of infrastructure in emergencies: In emergencies involving the transport of animals, help often comes too late, e.g. because the official veterinarians cannot be reached, there are no emergency unloading stables or the police have other priorities. 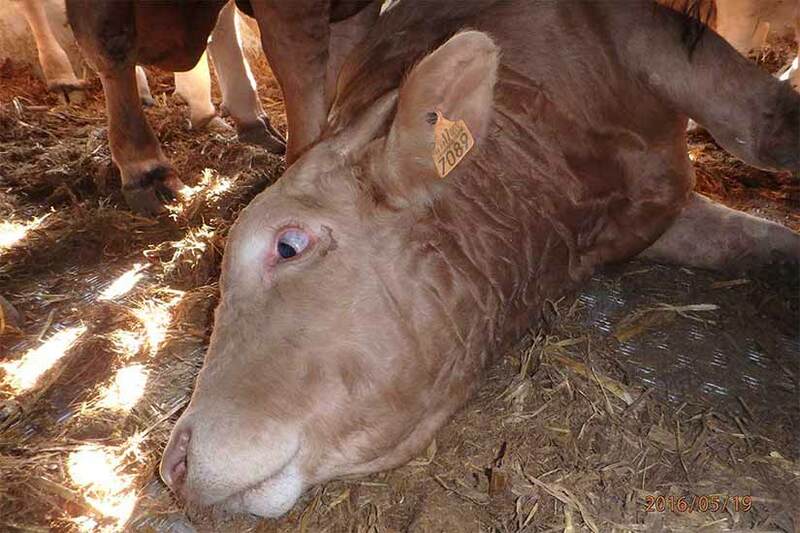 Exhaustion and death: Too many animals cannot cope with the stress and strain of long-distance transport and die after many hours or even days of suffering. Since 1998, Animals' Angels has been with the animals on the roads of Europe. 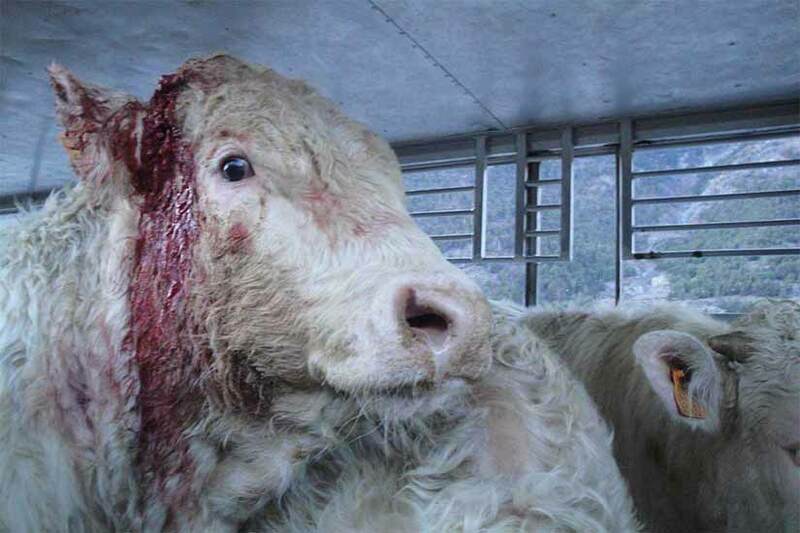 We accompany the animals – often on their last way to the slaughterhouse. We help on the spot, provide first aid, inform veterinarians or the police, and supply water and food. 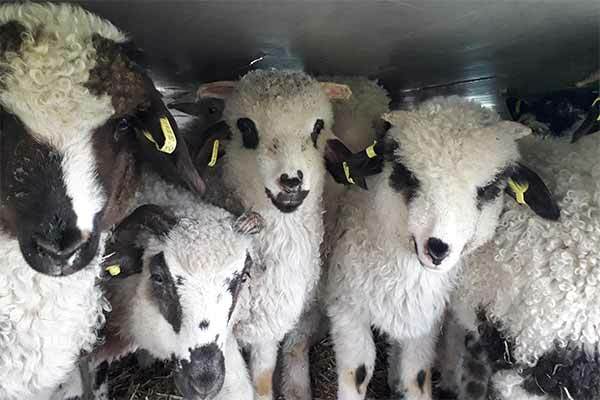 We inspect and document animal transports on motorways and animal markets, at checkpoints or ports. We submit complaints, seek cooperation with the authorities and are in dialogue with industry representatives. If necessary, we file a complaint. We regularly publish our observations and experiences. 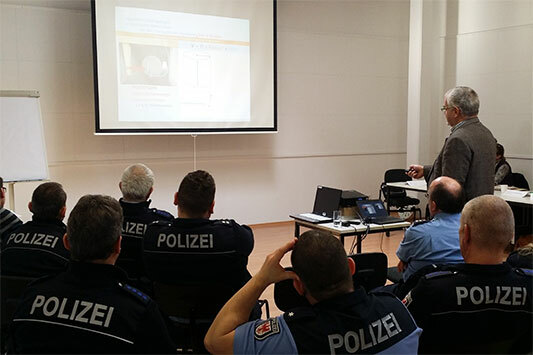 We conduct police trainings and give lectures at national and EU level. 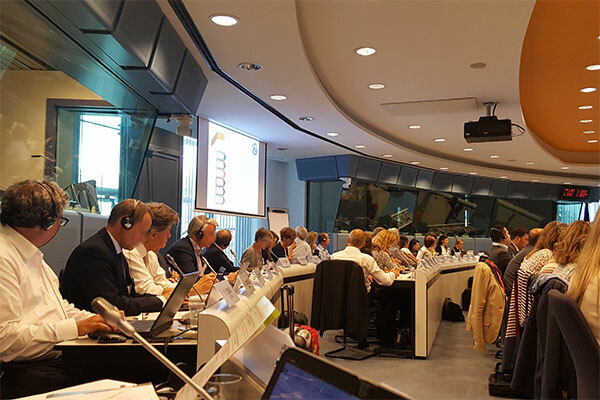 We contribute to the development of guidelines and are a member of the Animal Transport Working Group of the EU Commission's Animal Welfare Platform. 27-01-2019 Animal Transports Created by Animals' Angels e. V.